The Irish American Partnership was featured in the April 2019 issue of “Donegal Connections” Ezine, a publication by the Donegal County Council to connect with the Donegal Diaspora. Over 30 years ago, Former Donegal TD Paddy Harte Snr., a leading proponent of peace and reconciliation among divided communities, conceived of a supportive partnership between Irish America and Ireland. Having secured £50,000 in seed funding from the Irish government, the Irish American Partnership was formed, its mission—to empower the next generation of Irish leaders through education and community development. Education has been the gift passed down from one generation of Irish to the next, allowing Ireland’s diaspora to thrive all over the world. The Partnership encourages the Irish diaspora to honour their heritage by giving back to the schools and community initiatives that made an impact on their lives, or the lives of their ancestors. The Irish American Partnership is pleased to support the Women’s Gaelic Player Association (WGPA) with a grant of $10,000 to assist current and former plays achieve a university education. Priority will be given to players pursuing careers in education. From the very first line, it is clear that the 1916 Proclamation was a revolutionary document. Addressed to both Irishmen and Irishwomen, the proclamation laid out a vision for a new, free, and equal society where liberties were granted to all citizens. In a time when only a handful of countries had granted women’s suffrage, this was no small gesture. It was a guarantee won by the bravery, ingenuity, and commitment of the women who fought for Ireland’s freedom. Partnership Grants $3,500 to St. Patrick's National School in Honor of Paddy Harte Snr. The Irish American Partnership gave a grant of $3,500 to St. Patrick’s National School in Murlog, Co. Donegal in honor of Paddy Harte Snr. Mr. Harte was a dear friend of the Partnership and had a deep appreciation of the historic link between the people of Ireland and the United States. He loved Donegal and had a particular affection for his hometown of Lifford, where St. Patrick’s is located. The Partnership is delighted to announce a grant of $100,000 to the Gaelic Players Association (GPA) for their scholarship program. This grant will support university scholarships for Gaelic players wishing to give back to their communities by pursuing careers in education. The Irish American Partnership disbursed $170,000 to education and community programs in Ireland, North and South, during its biennial leadership mission, held from September 24th to 26th, 2018. 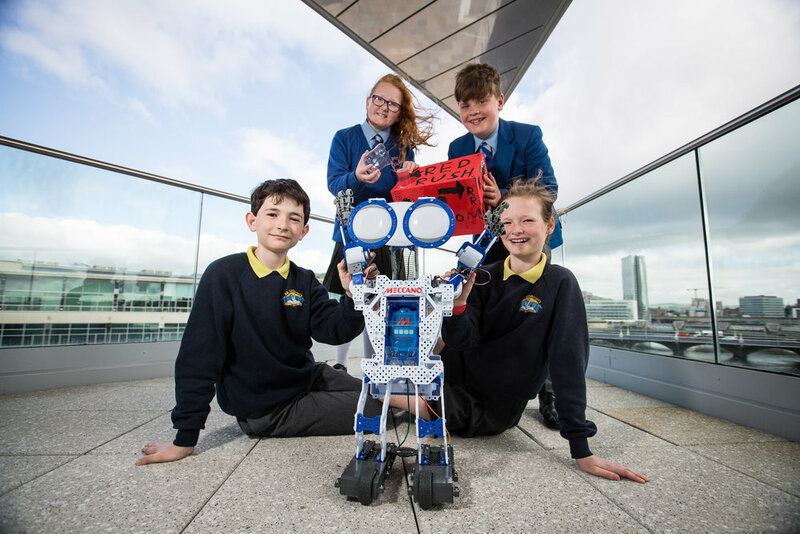 The programs were selected for their transformative impact on students, schools, and communities across the island of Ireland. The grants further the Partnership’s priority campaigns: direct grants to schools, science education, university access, job training, and community development. The Irish American Partnership has sponsored the publication of a technology skills audit, produced by Fasttrack into Information Technology (FIT) in Dublin. The audit identified 12,000 vacancies in technology companies operating in Ireland and several core competencies demanded.